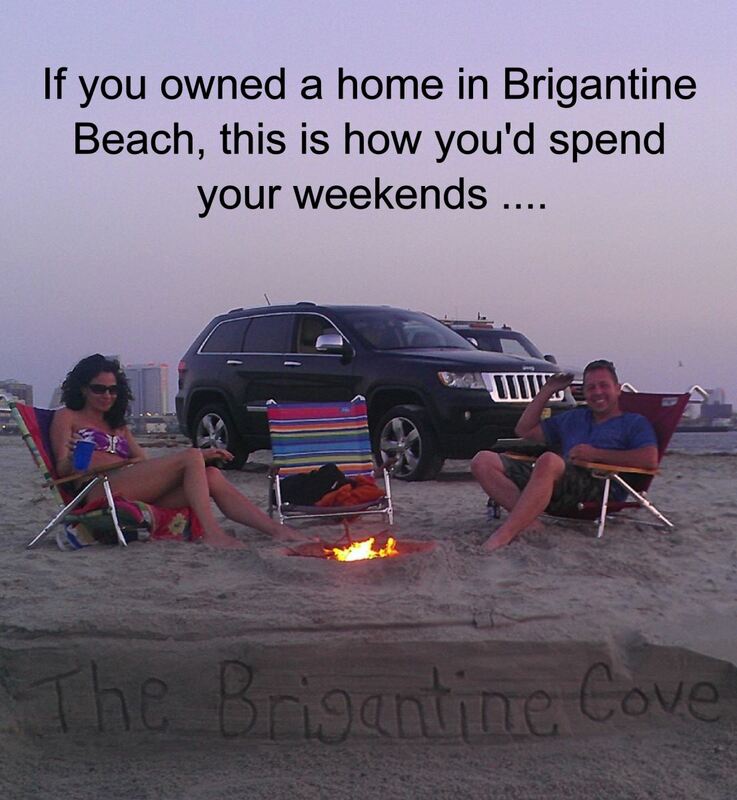 The Brigantine cove is a beach nestled between the island of Brigantine and Atlantic City. 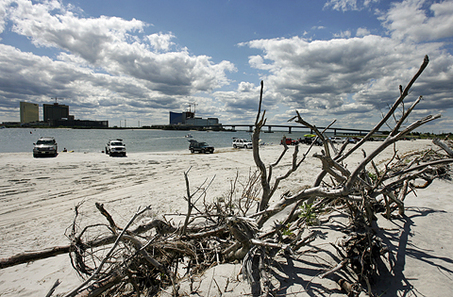 It is accessible from Brigantine by foot, 4X4 wheel drive vehicle (with permit) or by boat. The cove is a popular 4-wheel drive beach where families spend summer days playing beach games, floating on inner tubes, fishing, jet-skiing, swimming and barbecuing. 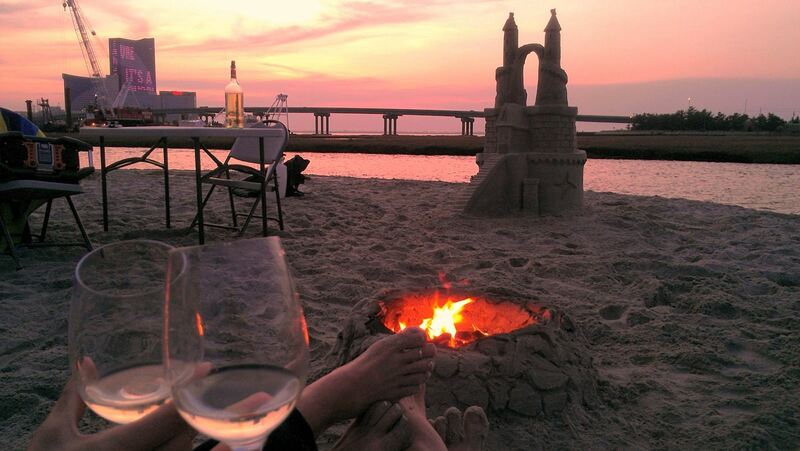 It is not unusual to see sand castles being constructed, multiple grills cooking up fresh seafood and the soft sound of Jimmy Buffet music playing in the distance. 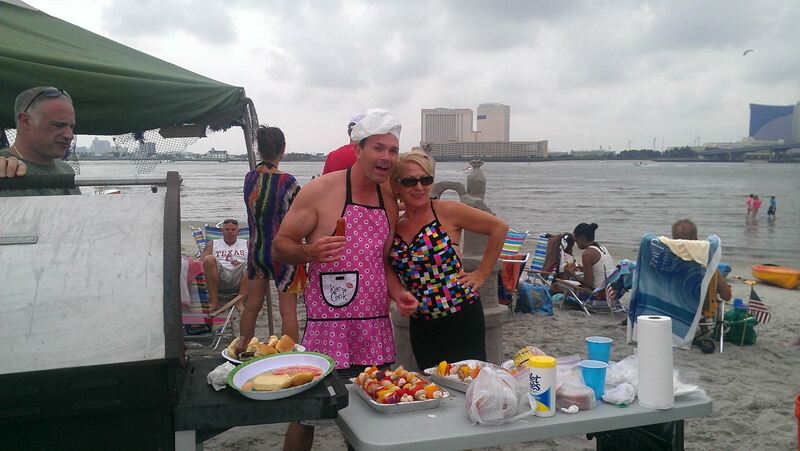 If you didn't bring your grill chances are the "w eenie boat" will be docked on the beach selling hot dogs, hamburgers, ice cream etc. In the evening the party quiets down and the remaining beach goers are treated to breath-taking sunsets and a beautiful view of the Atlantic City skyline. For years it has been a popular viewing point for the 4th of July fireworks that are set off in Atlantic City. You will need a 4-wheel drive permit if driving on the cove and a beach tag if walking or by boat. Access to the cove by foot or 4-wheel drive is off of Lagoon Blvd at the south end of Brigantine Island.